This is one for those of you with a sweet tooth. Spring has finally graced us with it's permanent presence and, I don't know about you, but warmer weather always makes me reach for iced drinks, smoothies and juices. Today's number is my current favourite, a sweet, zingy fruit cooler that's so simple you really barely need a recipe. 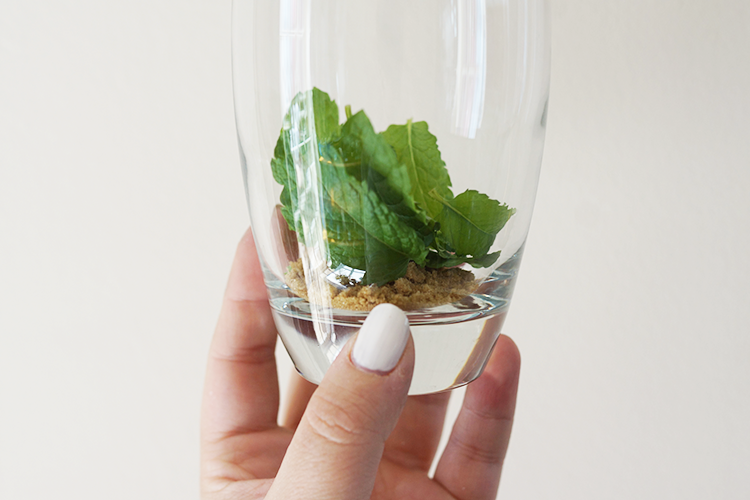 Drop 1 tbsp of sugar and 10 mint leaves into the bottom of the glass and muddle with a spoon (or muddler if you have one!) to release the mint oils. 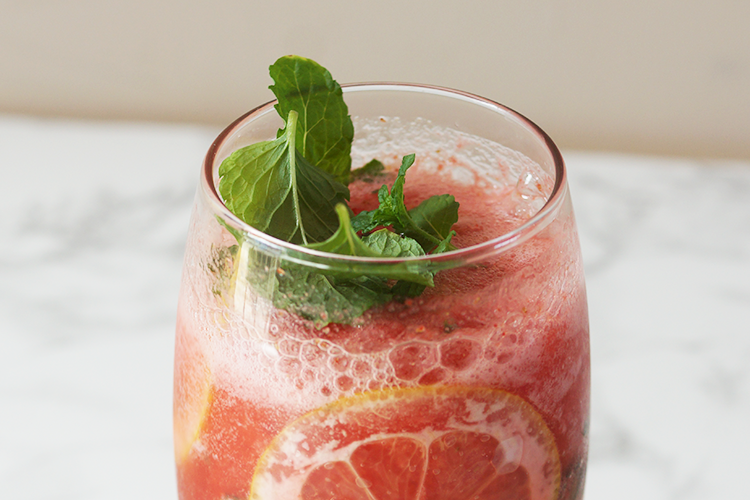 In a blender/smoothie maker, blend the frozen strawberries with enough lemonade to loosen the mixture so your blender copes, then pour on top of the mint and sugar. Slip some thin lemon slices down the sides of the glass, top up with lemonade and garnish with the remainder of the mint leaves. That's literally it. 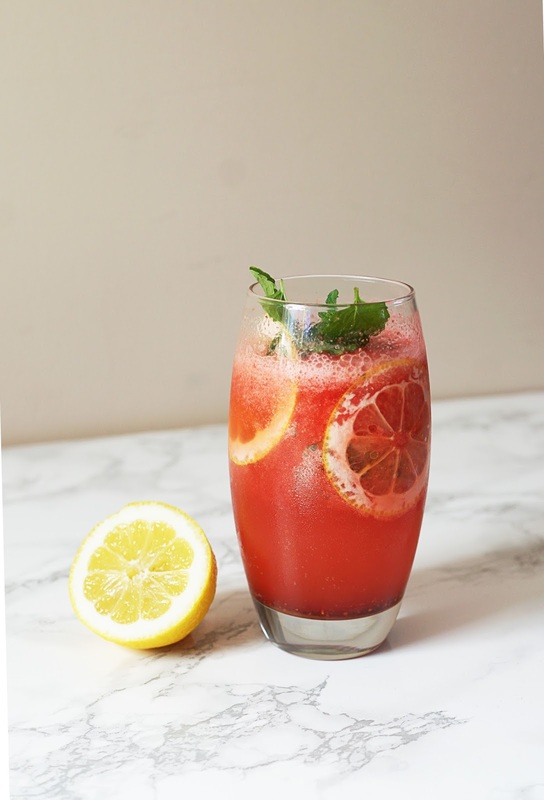 A satisfyingly quick, fresh and moreish summery drink that would be the perfect accompaniment to my desperately easy Lemon Drizzle Cake, I'm already whipping up my next batch! This sounds amazing! Definitely got to give it a wee try when I get the chance! Seems like something perfect for the weather getting warmer lately! 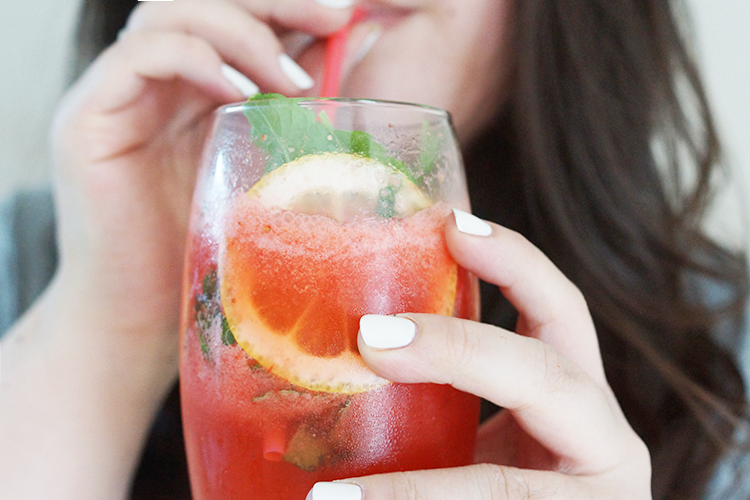 Nothing better than a fruity refreshing drink! I love the photos and I really want to make this now! 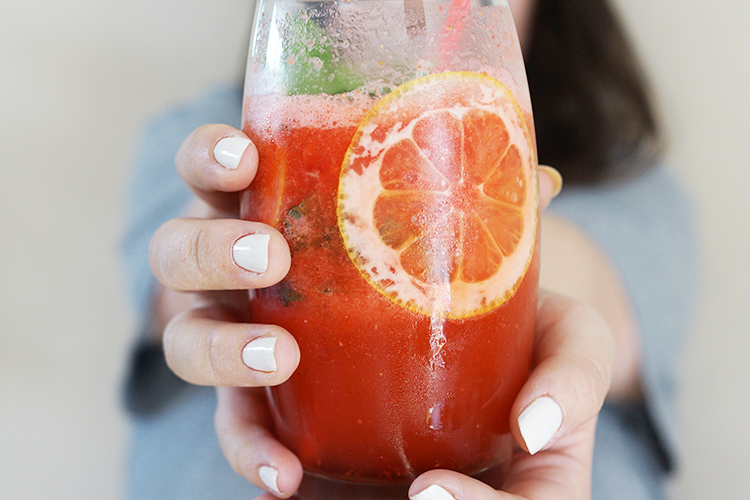 You can't go wrong with strawberry and mint! Yum yum! Definitely my drink - a perfect mocktail (or cocktail if you're feeling adventurous eh) but damn 10 strawberries is A LOT of strawberries... haha! That cooler sounds amazing. I need to make it.